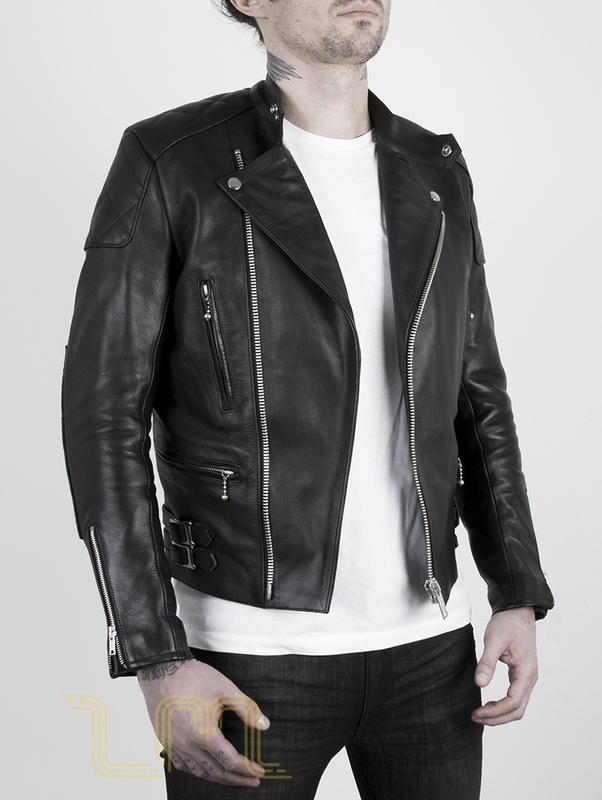 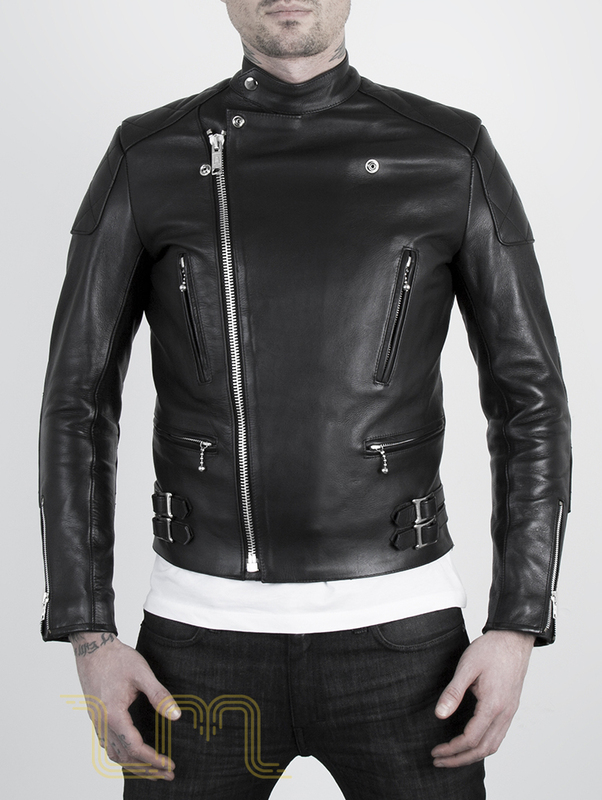 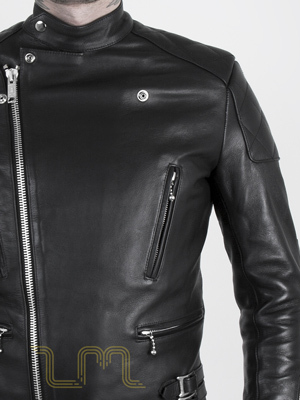 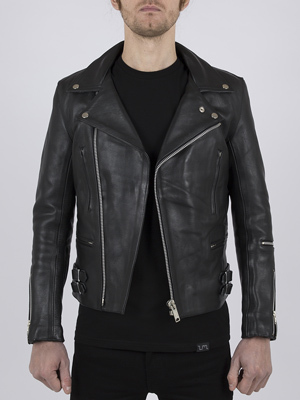 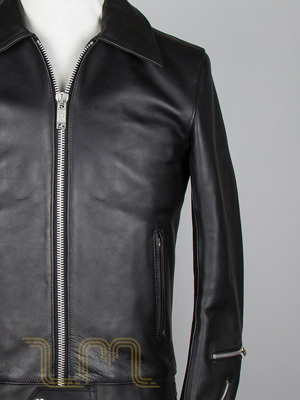 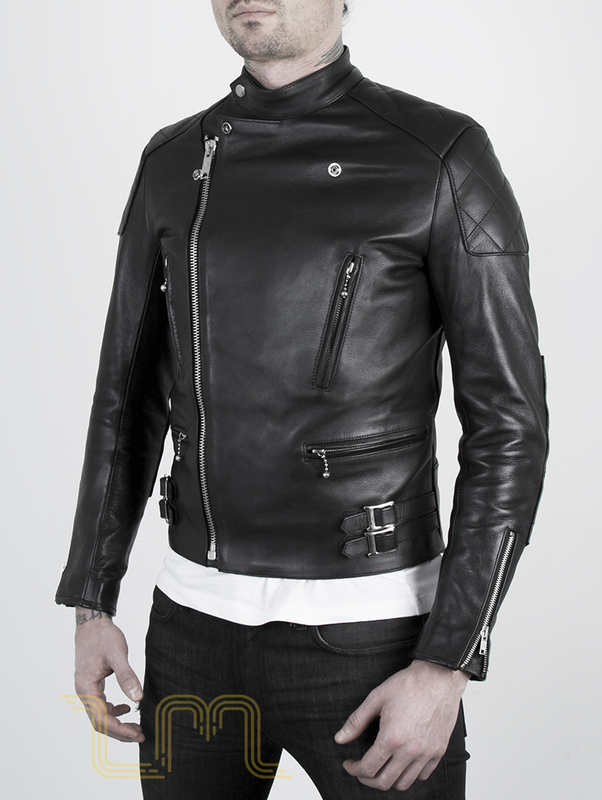 Invictus: The iconic leather biker jacket from Leather Monkeys. Every Invictus is individually hand cut and stitched using the finest premium grade, full grain Aniline cowhide leather that gives each jacket a truly breath-taking finish. 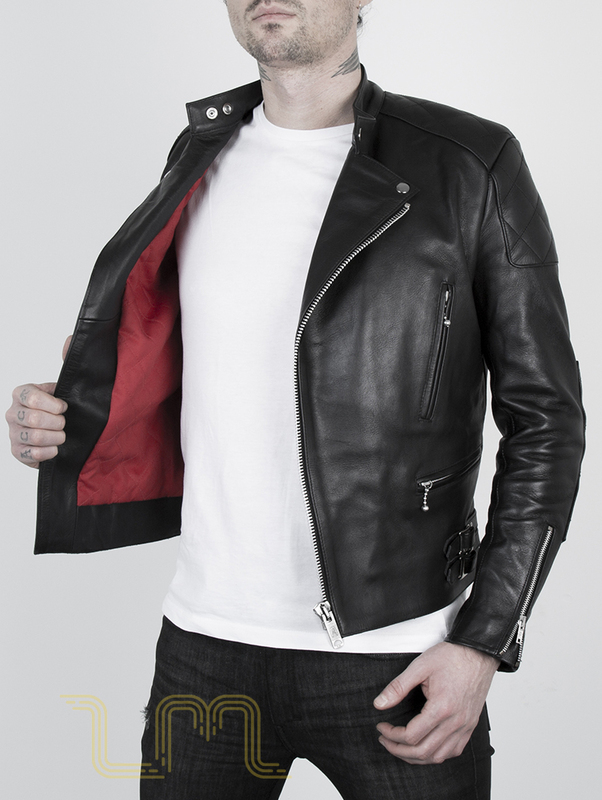 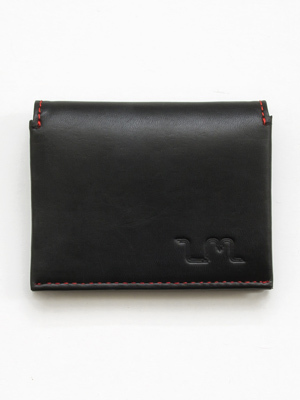 Red quilted cotton lining and Albert “A” stamped zips have become signature touches for a Leather Monkeys piece and Invictus is no exception. 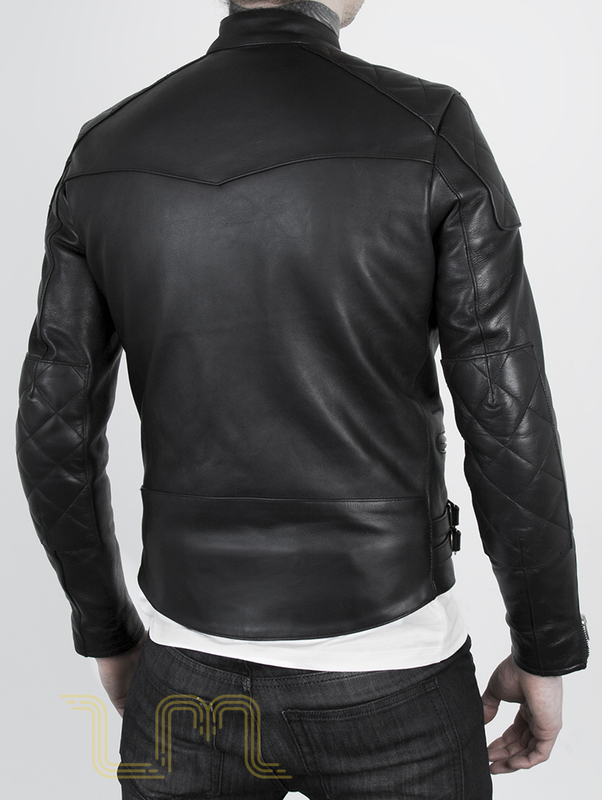 Diamond quilted leather around the shoulders and elbows plus ball & chain zips on the pockets adds a purposeful and distinct character to a quintessentially British aesthetic.